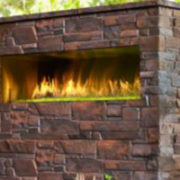 Here at Rettinger Fireplace Systems, we’ve been designing, installing, maintaining, and selling fireplaces for over two decades. 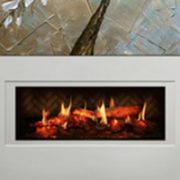 From gas fireplaces in NJ, through to pellet, wood, and electric models, we’ve got you covered for all your fireplace needs. 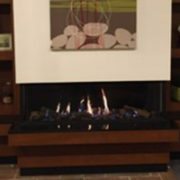 We’ve noticed an influx of queries from our loyal customers over the years as to what is causing certain smells to be emitted from the region of their fireplace. 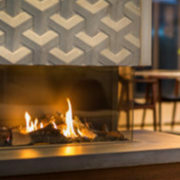 So, we’ve created this post to educate customers and non-customers alike on the situations that can lead to strange fireplace-based scents. 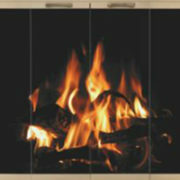 One of the main reasons that odors can enter the home via a fireplace is negative air pressure in the home. This problem is more frequent during the summer months after certain home improvements have been made. These home improvements may include weatherizing, new ventilation, new roofing, replacement windows, or fans. When the home is sealed too tightly, odors that often escape via the chimney can travel back into the house instead. When professionals inspect a chimney, they remove any excess creosote. This is important to keep your chimney in full working order. 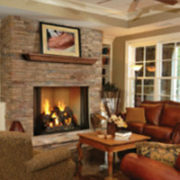 When creosote builds up, it can cause the fireplace area to smell like asphalt. Creosote is a black or dark brown flammable substance produced by wood smoke. 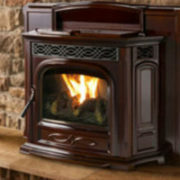 Seek professional maintenance services if you can smell asphalt coming from the area of your wood fireplace. Some chimneys will let in rainwater or moisture from time to time, and this can leave behind an unpleasant damp and musty smell. Besides creating an odor, moisture can cause the damper to rust and fail to operate properly. Mixed with creosote, moisture can cause additional damage to your chimney, resulting in the need for costly repairs. If your electric, pellet, wood, or gas fireplace in Cape May County smells strange, get in touch with us today, and we’ll help you to find a solution.